The agency took home a total of 5 Gold awards including the Digital Agency of the Year metal. In addition it also won 2 Silver and 4 Bronze awards. IA – A Reprise Network Company, picked up the awards for some of the marquee Indian and global clients including Castrol India, Coca Cola, Mahindra & Mahindra, Johnson & Johnson and Samsonite. 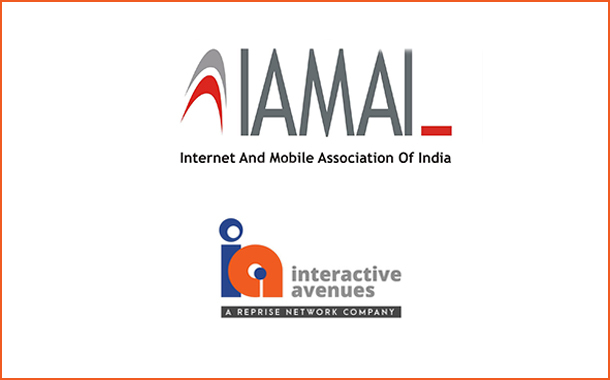 Hosted in New Delhi, it was the 9th edition of the Internet and Mobile Association of India’s (IAMAI) India Digital Awards that recognizes and rewards organizations, teams and practitioners who have surpassed landmarks and delivered successful business outcomes using digital as a medium. “Holding the award for the 6th consecutive year really feels surreal. IAMAI and India Digital Awards is by far the biggest digital awards in the country. We would like to thank all our clients for their immense support, partnership and their vision to enable us to do what we do best. We were up against some of the best in the digital, media and marketing industry and to win the top honour for 6 years in a row is extremely encouraging and motivating for the entire team”, said Amardeep Singh, CEO, Interactive Avenues – A Reprise Network Company.